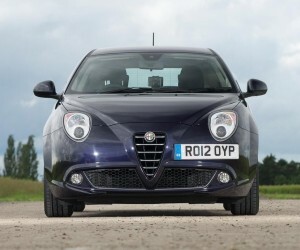 What’s the lowdown with the 2014 Alfa Romeo MiTo? So, you’re looking for a small, clean and economical car? The 2014 Alfa Romeo MiTo then, is most probably the car for you. The petrol engine is packed with 850cc, giving you 85bhp and will give you a very respectable return of 67.3mpg. That’s a petrol engine with the efficiency of diesel. The engine is made up of the multi award-winning TwinAir system. You won’t get as many thrills from such a car but it will tick all the boxes for the urban driver. The 2014 Alfa MiTo is the cleanest in its class, with C02 emissions of just 98g/km. This is great if you’re a London driver, as you will be congestion charge exempt, a saving of £2500 a year! The 2014 Alfa Romeo MiTo is available in two different trims – Sprint and Distinctive, priced at £14,150 and £15,350 respectively. Inside, although you are at the higher seating position, your view is still limited, due to the small rear window. Both trims are fitted with the start/stop technology. The Sprint trim includes 16inch sport alloy wheels, cruise and climate control, front fog lights, Alfa driving mode selector and Bluetooth. The Distinctive has the same benefits plus 17inch wheels, red painted Brembo brake calipers, rear parking sensors and chrome/aluminium detailing. If you need a set of wheels in the city, the 2014 Alfa Romeo MiTo, with its high mpg and very low fuel emissions, is a brilliant and wise choice. With no congestion charge too, you may even find you have extra pocket change for parking fees. Brilliant! Contact us today to get your lease arranged.